Meredith Collins is the founder of Video Social Marketing, an organisation which specialises in teaching business owners and entrepreneurs how to leverage the awesome power of video and social media for their businesses. Meredith’s specialities include developing strategic, measurable outcomes around social media and tying those KPIs and internal benchmarks into an enterprise’s marketing activity. She also works to help develop sustainability and capability within business that includes using sites such as Facebook Business Pages; LinkedIn; Twitter; YouTube and blogging. Meredith works comfortably across businesses to ensure that IT, HR and Marketing are included and play their necessary roles in implementing social media into an organisation. 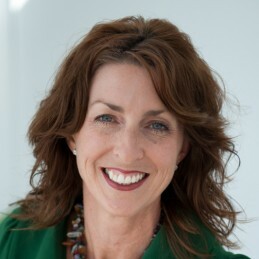 For the ten years prior to starting Video.Social.Marketing, Meredith was actively involved in the corporate world, and in adult education and eLearning, most recently as a nominated TAFE NSW leader mentoring and training teachers in a range of educational institutions to better implement technology in their classes. It was through eLearning, that Meredith became keenly interested in social media and internet video streaming. The Commonwealth Bank and Peter Switzer chose Meredith to travel Australia in the first half of 2012 to support and educate business owners in the use of social media through CBA’s annual Local Business Banking Forums. Meredith holds qualifications in Marketing, eLearning, Adult Education, Neuro Linguistic Programming and Management Communications.